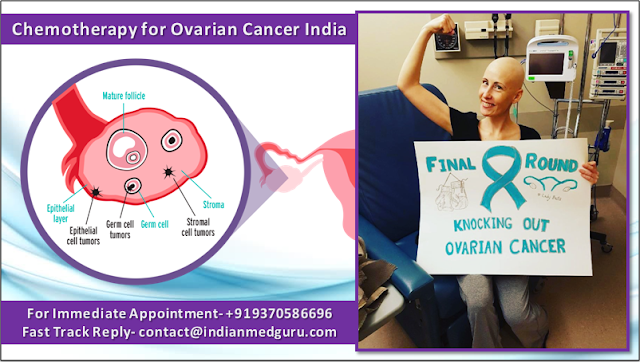 With the improving and better treatment options for ovarian cancer such as the chemotherapy in India, the success and survival rates are increasing. In case if the cancer is diagnosed early, then the ovarian cancer surgery can bring the best results. There is a prevalent lack of knowledge among the woman towards ovarian cancer and the factors that leads to many undetected or late detected cases wherein treatment becomes difficult. Hence it is important that all women at risk should undergo regular screening. The risk of developing the ovarian cancer grows with age generally in women between the age group of 35-65 years are at higher risk. Moreover, if they have never had children or began ovulation at a younger age or reached menopause at an older age then the risk factor is higher. Other factors that put women at higher risks includes fertility medicines, hormone therapy after menopause and obesity while hormonal birth control, breast feeding, tubal ligation decreases the risk of ovarian cancer in women. It is important to be more aware about the disease and take well informed treatment decisions to fight ovarian cancer. Indian Medguru Consultants offer minimum cost of chemotherapy for ovarian cancer in India. How much does Chemotherapy Cost for Ovarian Cancer? The cancer medicines and procedures such as chemotherapy are expensive and most of us are not in a position to take the financial challenge especially in case there is no insurance cover. The cost of cancer treatment varies according to the hospitals and cities since every hospital has its own infrastructure, therapies, surgeon and other tests or examination facilities charges which finally add to the total ovarian cancer treatment cost in India. The cost of chemotherapy for ovarian cancer in India is approximately 1500 USDs to 2500 USDs depending on the doses and the drugs, type of cancer and the patients medical condition. The success rate of ovarian cancer treatment in India is around 92%. Women who are diagnosed when they are younger than 65 years do better than the older women. In case the ovarian cancer is found and treated early at stages IA and IB before the cancer has spread outside the ovary then the five year relative survival rate if around 92%. However, only 15% of all the ovarian cancer are found at this early stage. Why African Patients Choose Indian Medguru Consultants ? 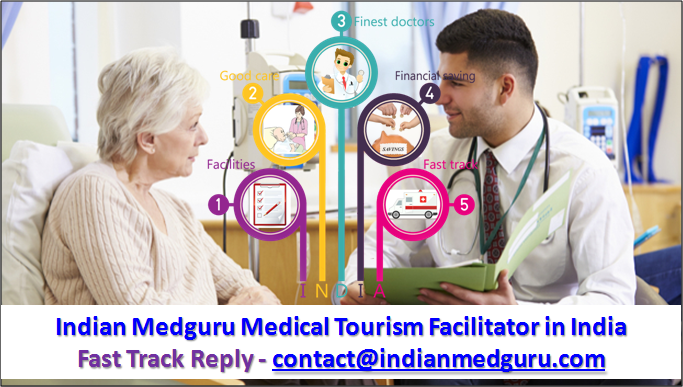 Medical visa arrangements, stay, travel, transport and health meals. Indian Medguru Consultants offers assistance to the global patients seeking chemotherapy for ovarian cancer in India. Our group has affiliations with various hospitals that are known for their state of the art amenities and sophisticated infrastructure. Our surgeons are internationally trained and have immense experience with knowledge of the most advanced technology. Book Your Confirmed Appointment Call Us +91-9370586696 or send your query to contact@indianmedguru.com for more information visit http://www.indianmedguru.com.